Step 1: After you have all of your supplies, you will cut the red cellophane wrap into small pieces. 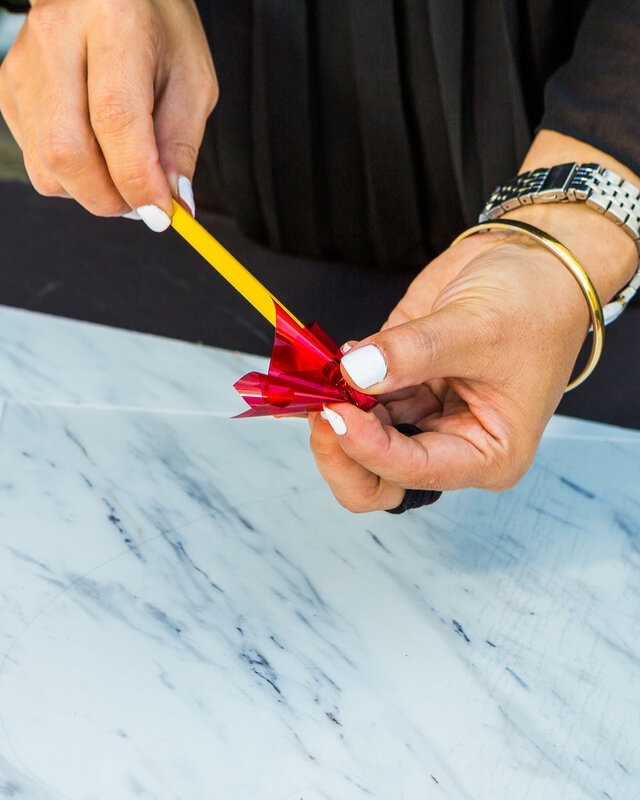 Use your pencil to indent and create the ruffled shape. Step 2: Dab a small dot of glue from your hot glue gun and place the cut saran wrap using your pencil like so. Step 3: Draw out the shape of the heart to use as a stencil. Step 4: Continue glueing pieces of red cellophane wrap to cover the space within the heart until it looks like this. Step 5: Line the edges with gold tape and add your love note! 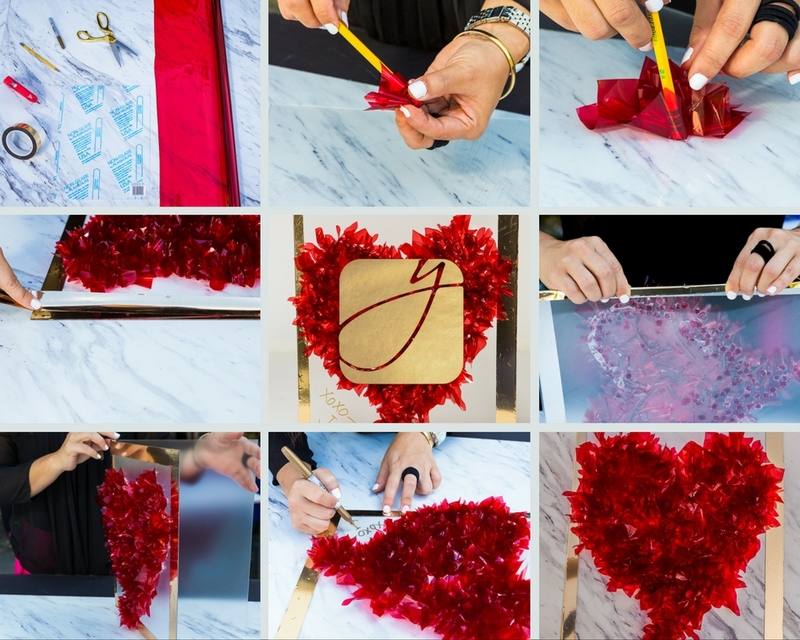 We had so much fun sharing the love of DIY projects with you. Stay tuned for more!